Want to Squeeze More Plant-Based Iron into your Diet? 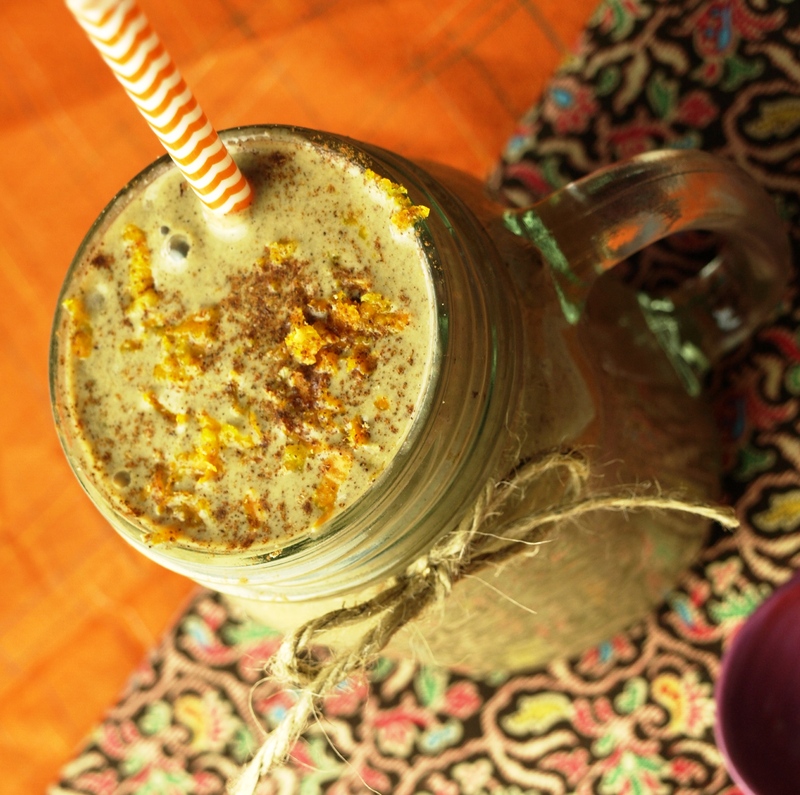 Give this Orange-Gingersnap Smoothie a Whirl! Although I’m being playful with today’s title, (and yes, if I would’ve found a way to cram one more corny double entendre in there, I would have!) the topic is an important one. Iron is kind of a big deal. It’s the central part of hemoglobin, the molecule in red blood cells that ushers oxygen through the bloodstream and delivers it to tissues like skin and muscles . In addition to energy production, iron also helps us maintain a healthy immune system, and is required for making DNA . Iron deficiency is the most common nutrient deficiency in the U.S., and is the leading cause of anemia . Symptoms of anemia include pale and dry skin, brittle hair and nails, excessive fatigue and weakness, irritation and fissures in the corners of the lips, and inflammation of the tongue (glossitis) . Recent studies have even linked excessive hair loss to low iron levels . Women of child-bearing age (especially those who are pregnant or breast-feeding), young children, and adolescent girls are at higher risk of being iron deficient. Despite being a common misconception, those who follow vegetarian or vegan diets do not have a higher incidence of iron deficiency than those who eat meat . This is good news if you eat a plant-based diet. While heme iron (which makes up about 40% of the iron found in meat) is relatively more easily absorbed, certain foods can greatly increase the body’s absorption of non-heme iron (which makes up the other 60% of the iron in meat, and 100% of the iron in plant foods). I often read articles stating that “with careful food choices and meal planning” vegan and vegetarian diets can supply all of the nutrients necessary for avoiding deficiencies and maintaining optimal health. I happen to think “careful food choices and meal planning” is important for everyone. This is certainly true for iron intake, since iron deficiency is widespread across the entire population. One of the biggest ways to improve iron absorption, is to include a good source of vitamin C along with foods rich in iron. Adding foods high in vitamin C can improve non-heme iron absorption up to six-fold, making it as accessible to the body as heme iron . In fact, some studies have shown vitamin c supplementation to be more successful than iron supplements in treating anemia . I started watching my iron and vitamin C intake more closely a month or so ago, when I began researching some of the signs and symptoms of low iron levels. The track that led me there was purely superficial! I began to wonder if my excessive hair shedding and dry skin could have something to do with my iron levels. I’ve always tested in the normal range for iron, but pregnancy, childbirth, breast-feeding, and resuming menstrual periods over the last two years could have taken a toll on my iron reserves (and likely created an increased need for iron intake). This led me to start playing around with recipes using blackstrap molasses (one tablespoon has 20% of the daily recommended intake). Which resulted in one of my favorite warm drinks, spiced gingerbread steamed milk. I also started making a conscious effort to put green smoothies and dark-leafy salads back on my daily menu, because if I was being totally honest with myself, I’d been neglecting my old pals kale and spinach. I try to include beans once a day (heck, I even put ’em in cinnamon rolls! ), and tofu or tempeh usually makes an appearance on my plate once or twice a week. Even more importantly, I began to be more cognizant of how much vitamin C I was eating with each meal. Eating more foods rich in vitamin C is not only vital to absorbing iron from plant sources, it also keeps our skin looking young and wrinkle free. My “careful food choices and menu planning” seems to be working! I’ve been feeling more energetic, my skin seems less dry, and I swear my hair shedding has slowed down. Of course, this could be due to a number of things. I plan to ask for a blood test to check my iron levels at my next doctor visit, which is coming up. It would’ve been interesting to see what it was a couple of months ago, and if my efforts had any effect on my iron levels (if they were indeed low). If you suspect your iron levels might be low, be sure to get your blood tested and follow your doctor’s recommendations. It’s also important to avoid tea (black, green, and some herbal varieties), coffee, and cocoa during meal times. These contain polyphenols, which include tannic acid, and can block iron absorption. 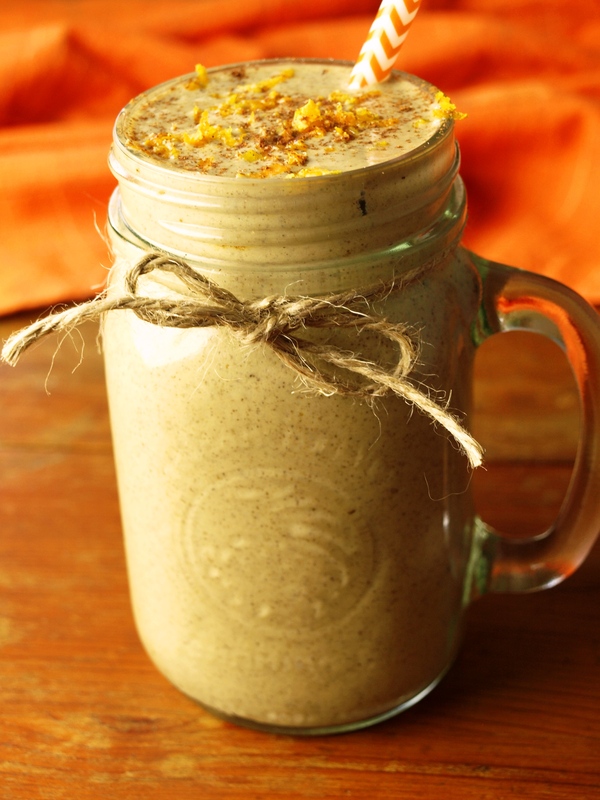 Lately I’ve been enjoying this Orange-Gingersnap Smoothie, which is an easy way to get some natural plant-based iron, for breakfast. Not only is it a delicious treat, but it incorporates several good sources of iron as well as a healthy dose of vitamin C, for optimal iron absorption. 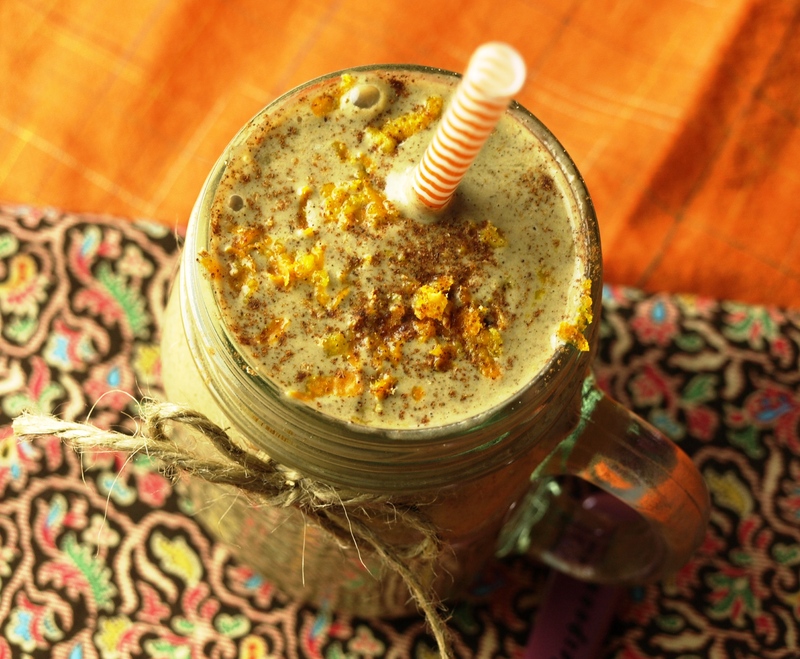 It’s zesty, creamy, and delightfully ginger-snappish. 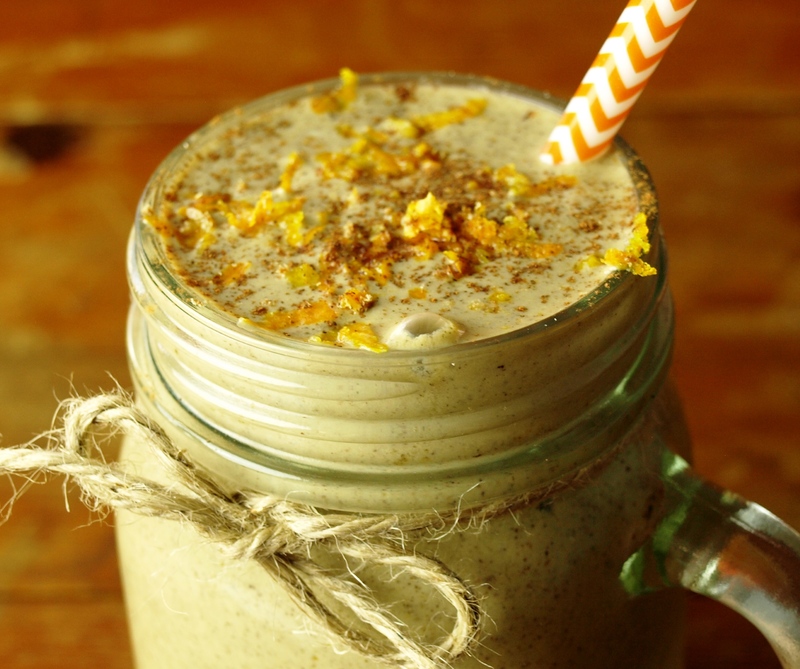 One of these tasty orange-gingersnap smoothies provides almost 50% of your daily recommended iron, plus 143% of your vitamin C! Not to mention 89% of calcium and 14 grams of protein! Most importantly, it gives you 100% of your daily recommended YUM. I hope you give this one a whirl! Blend everything but the frozen banana and ice cubes, until very smooth. Then add your frozen banana and ice cubes and blend again. Top with orange zest and a pinch of cinnamon and ground ginger. If you have a high-speed blender, you don’t need to soak your cashews. If you have a regular blender, you can improve smoothness by soaking your chia seeds, cashews, and medjool date right in the cup of non-dairy milk overnight. Then in the morning, dump it all into the blender with the orange, spices, and molasses and blend until smooth. Then add your frozen banana and ice cubes and blend again so it’s nice and cold. These are some great tips for getting more iron! I used to be so vigilant to make sure I was consuming vitamin C and iron at the same time but I haven’t given it much thought lately. 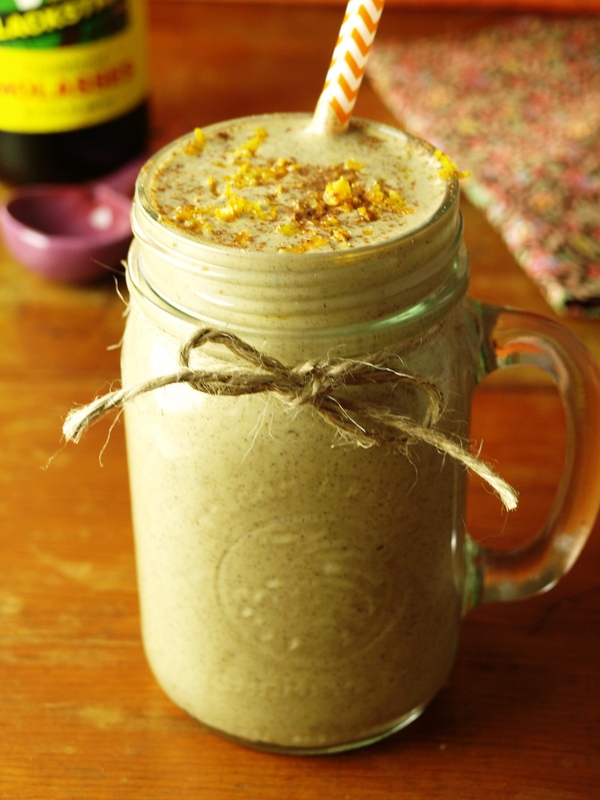 I’m going to make this smoothie tomorrow, it sounds so delicious Larice!